Easy Lake Michigan wedding planning. Your Michigan Wedding planning will be a fun and exciting experience if you take the time to properly prepare. I know ... you want everything to be perfect. If you are planning your own wedding on Lake Michigan you need to have an organized list of what needs to be done and when. Timing is everything. If you desire a beach wedding you really must have a plan B. Weather has to factored in. Think and plan about what you will do if it rains, or if it's windy. You can't control mother nature but you can prepare for her. Start planning early. This free wedding planner is a big help even if you are planning a small ceremony. If you are planning a large wedding consider a wedding consultant or planner. Most beaches are public and others will normally keep there distance and act respectful. Contact the county clerks office for marriage license information and fees. If you are using a city or county beach check with local authorites about rules and any fees that may apply. If there will be elderly or handicapped attending is the beach easily accessible for them? If you are a do-it-yourselfer or want to save money you may want toClick Here! 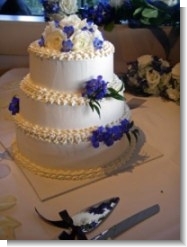 If you return to our Michigan Beach Wedding page you'll find a list beachtowns. Click on the cities for wedding information about the beaches in and near them. For the Traverse City area check out Events By The Bay. The Charlevoix/Petoskey area contact Merry Makers. How about an island wedding? Contact the Beaver Island Lodge. For the southwestern Michigan area check out The Organized Partner. The people at Exceptional Events can help you plan an unforgetable wedding event. If you plan to host your beach ceremony at one of the many Lake Michigan resorts, hotels or inns, the process is much less stressful. They have their own wedding coordinators to guide you through the process. It's also great fun having family and friends staying close by in one of them. Many special times and memories are made this way. When contacting professional planners don't be afraid to ask about their experience level (credentials). Write down all your concerns and ask how they have handled similiar situations. You will want to know all the details about how they have handled wedding challenges. So we say again relax, everything always works out. This is your time ... you will be a beautiful bride ... your wedding will be a beautiful celebration of your new lives together.